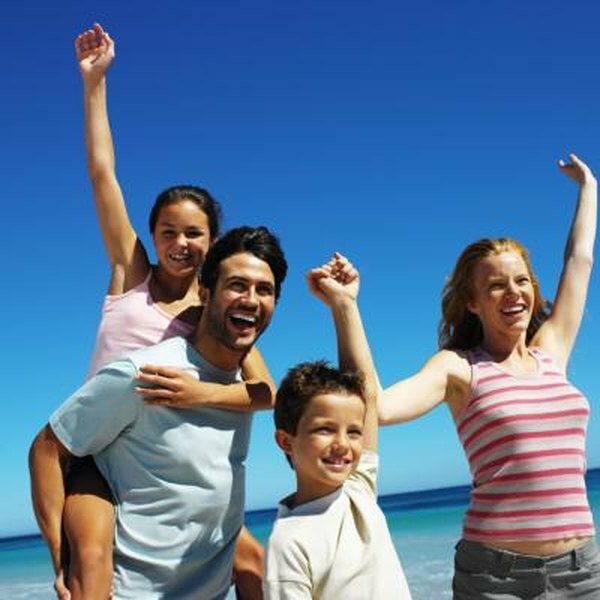 Family trusts allow you to provide for your family after your death. If you leave an IRA to a family trust instead of to an individual, you can minimize the required distributions and keep more money growing tax-deferred for a longer period of time. Also, your written instructions to the trust control how, when and where the trustee distributes the money. While you're alive, the withdrawals are based on your life expectancy, but once you die, they're distributed to the trust on the life expectancy of the oldest beneficiary. Making a family trust the beneficiary of an IRA offers many benefits. First, the trust can control money left to a minor or someone not ready for the responsibility of managing the money. Also, if the trust is structured correctly, creditors can't attach unpaid debts to the trust assets and the trust’s property is not considered marital property. The assets also avoid probate at the death of a beneficiary. Finally, you can lessen the impact of estate taxes, as well as sidestep the issue of a successor beneficiary if the original beneficiary dies before fully distributing an inherited IRA. If your IRA distributions go to a trust -- instead of to an individual -- the income is dispersed according to your written instructions. You can distribute it to your spouse, children, other family members, or even a non-family member or charity. It's your choice. You can designate it to your spouse and then to your children once she dies. Or, you can set up periodic payments to your children based on what they can manage effectively, while protecting and growing the remaining assets in the trust. Your trustee manages the withdrawals disbursed from your IRA to your beneficiaries. Typically, the trustee is a financial institution or someone you trust to follow your instructions. Once you die, the distributions will be based on the life expectancy of your oldest beneficiary. If it's your spouse, the distributions will be larger and have more tax consequences. If it’s a younger person, like a child or grandchild, you can stretch the payments over a longer period of time, reducing the taxes owed and leaving more money in the account to grow tax-deferred. If the trustee has to withdraw more money -- beyond the distributions -- it can do so per your instructions. Any money distributed to the trust but not paid out is taxed. However, if the beneficiary receives money from a trust, it's added to their income and taxed at their income tax rate, which is usually lower than the trust's rate. Typically trusts avoid this problem as the trustee is authorized to distribute all the funds to the trust’s beneficiaries. Trusts also have to follow other IRS requirements and state laws, so work with professionals well versed in these requirements.